I remember one man telling me in front of his wife that she was an angel. (I thought–how nice.) Then he added, “Yeah, she’s always up in the air and harping about something.” It kinda lost its effect. And to make matters worse . . . healthy relational intimacy in marriage gets tougher as you get older. Marriage can go stale–two sinners bound together in the closest possible manner are going to have tension. Then add parenting, economics, sports, yard work, house repair, car maintenance, exercise, taking care of your parents, health issues, and all that can cause genuine Christians to fall into a routine of external maintenance that steals the joy right out of your marriage. Your relationship with your children, your parenting can drift into routine as well. You are glad the chaos of summer is over, but very quickly family devotions, school, family night, driving them around, cleaning, laundering, and working hard so everyone gets along can cause hearts to grow cold. The beginning of school and the new semester can bring a rush of excitement with those new friendships–but even those can drift into a strain where it is more of a burden than a joy. The drift toward externals and heartless routine can happen in all relationships, which means it also happens in churches too. Now all healthy marriages, families and friendships grow and change and so do all healthy churches–all healthy churches grow and change. It is often growth and healthy changes that keep us dependent on Christ. But we are not above the drift toward externals nor beyond staleness. So today, before that happens, before we fall into unhealthy routines, improper speech, unloving actions, I want to take this one week and have us test our relationships as a church, a family of families, and individual Christians in the church to see where you are. Plus to compare your family and your marriage against healthy relationships defined in the Scripture. Today, between our studies of Daniel and 1 Peter, we want God to examine us as a church family and see how we are doing? We’re a weird church–instead of focusing on one to two priorities like most churches, we’re actually trying to pursue all the main priorities God has given us to do. Our core commitments as a church are to do all to God’s GLORY, to pursue the GREAT Commandment, GREAT Commission and the GOSPEL as a way of life. We are committed to EXALTING GOD in all we do, EDIFYING the saints through God’s Word, EVANGELIZING the lost with the gospel, ENCOURAGING one another by shepherding the flock, using our giftedness in ministry and pursuing one another’s as a family, EMPATHY toward the poor, widows, orphans, persecuted and suffering, and ESTABLISHING other churches. But we don’t stop there–through dependent obedience it’s our heart as a church family to pursue all the commands of the New Testament, all the things the Lord wants us to do. And it’s the pursuit of God’s Word empowered by the Spirit, the forsaking of sin and putting on of Christ’s character that keeps us hot. And it is His Word that speaks to healthy relationships, and it is God’s Word that prevents us from falling into routine Christianity. So as we look at some crucial passages of Scripture, some familiar and some not so familiar, compare your life, your marriage, your family, your own friendships and your relationship to your own church. Get your Bibles out as we walk through six enduring relationship truths–those familiar to you, let me be as Peter says, “And stir you up by way of reminder,” but others new to you, seek to apply. But either way, let’s check the health of your relationships. Paul starts with, “I urge you therefore by the mercies of God”–therefore and mercies of God refer back to eleven chapters of the most powerful explanation anywhere on how God can save sinners through Jesus Christ who became a man, then took our punishment for sin on the cross. Christ gave His all for His children, who didn’t care and couldn’t respond without God choosing, calling and loving us. On the basis of all God did for you, who were in fact in rebellion to God, lost in sin, dead to spiritual things, under just condemnation, now through Christ making you God’s friend, forgiving you of your sin, delivering you from all punishment for your sin, freeing you from slavery to sin. Therefore on the basis of all those mercies, present your body, meaning give your entire life, your life in this body as a living sacrifice. Sacrifices are meant to be killed on an altar, but you’re to be a living sacrifice–one who lives, but dies, lives for Christ but dies to self. A living sacrifice is one who gives themself fully and totally away. All genuine Christians offer themselves as a sacrifice to Christ at the point of their salvation and all genuine believers continue to put themselves in that dying to self (living sacrifice) position as a Christian. 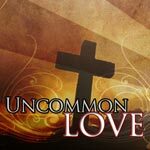 Plus Paul says you’re a living and holy sacrifice, one uniquely set apart for Christ–following only Him. It is that living sacrifice heart that allows you to have a proper relationship to Him and others. It’s the death of your will and embracing of God’s will found in God’s Word. And Christian, Paul says at the end of verse 1, living 24/7 as a sacrifice is your worship. Worship is not singing praise on Sunday—it is giving yourself completely to Christ, all of you, dying to self, living for Him. It’s offering yourself freely and fully to Christ to do with as He pleases–that is worship. You can be here today and not worship. You can sing and not worship, listen to the Word and not worship–why? Because you’re singing without a heart fully given to Christ. But singing and responding to the Scripture with a heart fully given to Christ as a living sacrifice is true worship. On the basis of all God did for you in Romans chapters 1 to 11, then you offer yourselves to Him in everything. Lord, my spouse is all yours, my children are all yours, my home is all yours, this money is all yours, my job is all yours, my free time belongs to you, my ministry is for you, my conversations with my friends, this singing praise is all for you–no holding back, no reserve, no concern about what others think, I worship you. You have all of me. And right now or at any moment throughout each day, when you slide off the altar, when you stop being fully Christ’s, as a living sacrifice you immediately choose to again die to self and re-orient your heart back to living fully for Christ again. Get back on that altar. The moment you are not a living sacrifice, offered fully to Christ as a Christian, you will not treat your spouse, your children, your friends or fellow-church members like Christ. There is no way as a Christian you can function in your horizontal relationships without being rightly related in your vertical relationships. As 1 John 4:19 reminds us, “We love, because He first loved us.” Offer yourself as a living sacrifice–that is true worship. Turn to Ephesians 5:18, “And do not get drunk with wine, for that is dissipation, but be filled with the Spirit.” For those of you who were not here when we studied Ephesians 5, the verb to be filled with the Spirit, is present tense continual action–every moment of every day you are to be filled. It is plural, meaning every one of us are to be filled, it is a command, a non-optional order. The New Testament tells us being filled with the Spirit requires your life to be saturated with the Word of God, continually aware you can’t live the Christian life in your own strength, consistently confessing all known sin and passionate about serving others and sharing the Gospel to the lost to see the Spirit work through you in great ways. Listen, right now and at any moment today or this week, if you are not in the Spirit, then you are in the flesh. And students, couples, parents–that’s a bad place to be. Never forget, all true Christians are more in the Spirit than in the flesh. Ask yourself, how much are you in the Spirit? “Chris, how can I tell?” I am glad you asked–turn to Galatians 5. Here Paul describes the evidences that come from living in the flesh and the evidences that come from living in the Spirit. Which fruit is more manifested in your life and in your relationships? Paul says, if the Spirit is in you, He is going to show through your life–and it will make a huge difference in all your relationships with love, joy, patience. Are you living dependently upon Christ? It is living by faith, not on your programs, your parenting approaches, your friends, your ideas or your feelings, but following God’s Word no matter what. In marriage, if you’re relying on your spouse, your marriage will struggle and go stale. If a good day is dependent upon whether home-school went well or one child didn’t act up, then you’re not dependent on Christ and not living by faith. If enjoying Sunday depends on whether you liked the song selection or learned a new Bible fact in the sermon, then you’re not living by faith. By faith, men and women in the Bible saw God do great things. By faith Abraham went to live in a land he had never been to. By faith, Peter walked on water. By faith, Paul spoke boldly to those who wanted to kill him. And Christian, if you do not believe God by faith for something greater than yourself, then your walk will go stale. And FBC, if we do not believe God for things greater than ourselves, then our church will go stale. Do you believe God for great things for us? We believe God will train and send pastors out from our midst, that we might have godly men lead each family, that we would establish other churches and send missionaries around the world. We hope to become a base to support other churches from and so much more. I am certain most of you pray for your family. I hope you’re praying for our family to live dependently together. There’s no joy, no love, no peace relationally unless we live dependently also. There are three commands given to three different groups in this passage representing the entire local church, and the main point is that we would all treat each other with humility. Notice the passage begins with an example of humility in verse 1, the great apostle Peter models humility by calling himself a fellow elder, and not by his apostolic title, not the apostle Peter. Then notice in verse 6, the passage ends with a plural command to the entire church to humble themselves. And each group is commanded to give themselves to that which will promote humility. First Verse 2, Elders are commanded to willingly shepherd the flock of God among them–to give themselves to the process of shepherding people, not controlling them, fleecing them, but modeling Christ to them as best as possible. Second Verse 5a, Younger men, future leaders, the men of the church are to submit themselves to the elders–listen to them, respect them, not because they are better than you but because they carry the weight of responsibility and have walked with Christ longer. Third Verse 5b, All of you, that’s the entire church, cloth yourself with humility toward one another. How we treat each other either demonstrates pride or humility. When you speak of another as if you don’t sin; when you are critical, complaining, caustic or judgmental; when you’re harsh, impatient, flippant, or indifferent–you are being proud. When you speak about those who are younger in the faith as if they couldn’t possibly make the same contribution to the church, your children or you personally, you’re proud. When you esteem your ministry above every other ministry and disdain any other genuine ministry, you’re proud. Are you into fashion? Do you know what’s sick, epic or tight? I don’t. Many of you are not. But God expects you to be into fashion. True Christian fashion is to be clothed in humility. Peter says the only way a church survives in difficult times is to be clothed in humility. The only way a marriage survives difficult times is for each spouse to be clothed with humility. To survive tensions in the home, parents and children must be clothed in humility. We need to see humility on all of us as if that’s the only thing we are wearing. Humility needs to be seen on us. Is it in your marriage, your family, your friendships and your church? What does humility look like? It’s the one who looks for opportunities to serve, who sees his own sin first, who lives in the daily reality of the cross, who fears God and lives by truth, and grace, and love. Another key is to . . . Turn to 1 Corinthians 12:12ff, because no single Christian, nor any one family has all the spiritual gifts necessary for healthy spiritual growth, nor the ability to display Christ to the world the way He designed, Jesus calls every Christian–married, single, husband, wife, child, parent, grandparent, single, broken, beaten, messed up–all of us to function as a part of the body in community, every genuine Christian. There are many of us, but we’re one body together in the Spirit. And if we as a local church under one doctrine and one direction can’t function together, support each other, cooperate with each other, love each other–then we give the world a warped picture of Christ. As a body, if we function as one body together unified, then we give the world a picture of Christ as a finely tuned athlete seeking to win His race. But as a body, if we don’t function together, then we give the world a picture of Christ as if he is a spastic who can’t control Himself. Paul says acknowledging the differences between us are good–you’ll not be like any other Christian and the fact we’re different is good. Focus on one another’s strengths. Look at each other like tools in Christ’s tool chest, used by the Master to build His church His way. Are you more prone to look at differences and be critical or are you more prone to look at those differences and be appreciative? What do you focus on in your marriage, your children, your parents, your friends or fellow church members–their weaknesses, shortcomings, sins, bents, personality bummers or their strengths, gifts and ways they show off Christ? Paul says here, when Christians look at younger believers and treat them as if they can have no impact on them or their children, then they’re divisive and proud–I have no need of you. When Christians stop looking to older saints for wisdom, or stop listening to parents, disciplers or spiritual leaders, then they’re divisive. Each of us is different–look at your neighbor, really different. But at a healthy local church, each member desperately wants Christ to be glorified, and for all of us to function as a body together. As Paul says in verse 27, “Now you are Christ’s body, and individually members of it.” Function in the body–are you? Are you serving somewhere here in the body? If you are a junior higher, but you truly know the Lord Jesus Christ, and He has placed His Spirit in you, that means you have a giftedness that is designed by God to function in His Church. The Bible is not age-graded. If you’re saved, you serve in the church–period. If you have grandkids who live everywhere but here, somehow you are expected to serve in your local church. If you are a dad, you are to shepherd your kids and show them a true man of God serves Christ in everything and that your entire life is not all about your family, but Christ is your first love. Male and female, husband and wife, parents and children, single and married–you are commanded to function in the body. Relational staleness comes from being selfish, from having everything focus on your marriage, on your family, on your homes, on yourselves–it is as you give yourself away to Christ that the work of the Spirit is energized in your relationships. I can’t tell you how fun it is to dialogue with Jean about the children’s curriculum through the Bible every week. I can’t tell you how satisfying it is to discuss the end times through Daniel together, and how great it is for our marriage and our entire family to be centered around Christ and our service to Him in the church family. Are you functioning in the body? We are committed to equipping you with the Scripture, to teach you all the Scripture, not just the fun application parts, to teach the whole counsel of God, and to get the food from God’s kitchen to your table without messing it up. But the Word is not merely to be learned, it is to be lived, not merely hearers but doers. And we’re involved in that process–teaching and modeling God’s Word, talking and walking the truth. Are you an example of truth, a trainer of truth, a coach in truth? So many things stop us from being a trainer of others. What stops us from impacting our spouses, our children, our friends and church members? When you forget that training your kids or impacting your spouse is not done through a conference or program, but through the Word of God lived out in your life–talk and walk truth, and train doctrine and direction. Training is not a program–a program can help you stay on track. Getting together once a week can help, but true biblical training occurs as you talk, sit in your house, go to the store, as you play sports, and as you relate to others. You train through the process of life. Jesus discipled by living with His men and ministering together. Please hear me, I am so thankful for a church where parents are responsible, adults actually disciple and students are trained. But beware of the external drift toward just doing a program. When you say, “My children are angry,” ask yourself if you are, and do they see you dealing with your anger biblically? Your D-group is not living the Scripture–ask yourself if they are observing you apply Scripture to your life? My wife is not submissive–does she see you submit to the Word? Please think through what you are doing in ministry and parenting, because these days we are more prone to train Pharisees than followers of Christ. To truly train, you are to say with Paul in everyday normal life, “Be imitators of me, just as I also am of Christ” (1 Corinthians 11:1). And because we don’t have all the spiritual gifts in our lives, in our marriage and in our families, we desperately need relationships in the body of Christ to become like Christ. Are you training? Turn to Colossians 4. What causes our lives to go stale is when we forget why we’re here–God left us here to be His image, and we are here to display His glory, His purposes, His character and His message. What can you do here that you can’t do in heaven? There are three things: 1) sin, 2) share the Gospel, and 3) have children. Which do you think He left you here to do? I propose God did not leave you here to sin, and that sharing the gospel and having children are the same goal–to produce Christ-followers. No Christian parents have children without a passionate heart to see them come to a saving knowledge of Christ. This is why Paul says in Colossians 4:5 to 6, “Conduct yourselves with wisdom toward outsiders, making the most of the opportunity. 6 Let your speech always be with grace, seasoned, as it were, with salt, so that you may know how you should respond to each person.” Does your marriage have a gospel-centeredness to it–not only that you live by grace, but you both are burdened for the lost in such a way that you live the priority toward reaching the lost? Do your children know why you are here on planet earth? Can they see it, not that you merely talk about it–that’s not training, but they see it through you? You manifest a heart for the lost? If they don’t see that purpose lived out in your lives, I guarantee they will live out another purpose, and all other purposes are worldly. Do your friendships demonstrate a passion for lost people to hear the Gospel, and as a church are you committed, along with all our other priorities to evangelize the lost? This ultimately challenges us to ask . . .
First Are you living by the Gospel? Is it obvious by how you talk that you believe you are the worst sinner you know, that you are overwhelmed by what Christ has done for you every single day, that He is your first love and you desperately need His grace every single moment of every day? Are you living the Gospel? Second Have you tested yourself to see if you have the Gospel? Second Corinthians 13:5, “Test yourselves to see if you are in the faith; examine yourselves! Or do you not recognize this about yourselves, that Jesus Christ is in you–unless indeed you fail the test?” Do you have a heart that is willing to do everything and anything that Christ desires you to do in His Word? Do you have a heart that wants to follow God’s Word? Those are good signs that Christ is in you and you are a true born again believer, but eventually a born again heart that wants to follow God’s Word is going to actually follow God’s Word. A saved heart will move from heart desire to life actuality. I have got to ask you–have you moved from merely wanting to, to actual faithful obedience, faithful church attendance, faithful service to the body, faithful giving of your treasure and time, faithful sharing of the gospel, faithful pursuit of your marriage, faithful mentoring of your children, and faithful loving of the saints? It will not be easy, but genuine Christians move toward obedience, meaning . . .
Third Are you obedient to the Gospel?